Thanks so much for finding us and taking the time to read more about our company! Hopefully since you have made it this far, you realize we are not your typical type of destination wedding planners, as we plan adventure weddings in Iceland and luxury elopements. We get countless inquiries from people around the world wanting to plan their weddings here, and we are not a good fit for most. So please take a few minutes to make sure we would be a good fit for you by reading through the below! 1.) What is an adventure wedding? –An incredibly unique unforgettable wedding day EXPERIENCE. We discover and explore the unique pure areas of Iceland, AWAY from tourist locations. Most of our weddings are action packed (seeing / doing) beginning with hair / makeup at 6am and ending around 11pm after having a delicious 3-5 course meal (17 hour days on average, but we can scale back or add “bail out” points along the way as needed). Please see HERE for more information on our adventure weddings. Also checkout Ann Peters, the owner talking about the structure of our Iceland Adventure Weddings and process on a Podcast interview HERE. 2.) How soon should you book your Iceland wedding day (or Iceland elopement)? –We often book weddings 18-24 months before the couples desired wedding date. Why? This ensures the best hotels (luxury houses or AirBB’s) will have enough rooms for you (and your group) and also because Iceland is a major tourist hot spot right now. Also know that, the majority of our weddings are 1 to 3+ hours outside of the city of Reykjavik so this means you will be exploring from a countryside host hotel and during high season (May-August) this becomes harder if you wait less than a year. We have accommodated smaller groups or Iceland elopements under a year but you must not be set on a specific date or time of week. 3.) Best time to get married in Iceland? –This all depends on what the objective of your trip is (IE, Hiking, Northern Lights, or want warmer temperatures, activity driven, etc). We wrote a blog post several years ago on this topic HERE if you want more in depth information. Our personal favorite months follow: Mid to Late February and March (best for ice caves and Northern Lights); April (often our driest month); May-August (long daylight hours); September-October (fall is gorgeous here!) Other months November-January have short daylight hours (3-6 hours a day). Special Note: Our team does not plan or photograph Iceland weddings from mid-December to early-February, you can find us in Patagonia! 4.) What sets Iceland Wedding Planner apart from other planning companies in Iceland? –First: We plan and photograph adventure weddings (you’re hiring one team to handle the two most important aspects of your wedding day). See how Fun our adventure weddings in Iceland are HERE. Second: All of our locations are Iceland wedding locations are offbeat and on private land (requiring permits and/or special permissions) so the likelihood of running into other tourists while you’re exploring is typically slim. Third: The Experience! From start to finish we offer a very unique wedding planning platform… We want your planning time with us to feel like fun “date nights” not stressful life moments. From Skyping with your smiling faces (we want to get to know you) to how we present the wedding day locations to how we transition your day from just a “wedding day” to a unforgettable wedding day EXPERIENCE, you’ll enjoy every minute! Fourth: We are North Americans living in Iceland. The Owner, Ann Peters actually held the first adventure style wedding here over 5+ years ago. Plus, we personally know how North Americans do wedding details (go big or go home, lol! ), expect a certain level of service, class, appreciate stellar customer service, and enjoy creature comforts. So rest assured your Iceland dream wedding (or Iceland luxury elopement) will come true. On top of all that, English is our first language so communicating with us will be easy. Fifth: We do not do any up-charging on services. You pay our team of vendors directly (Note: Other wedding planning companies here in Iceland will do an up-charge of 10-30% or more, on top of the price you are paying. We choose to not play those games and pass savings back to you guys rather than taking them for profit). Sixth: Not only do we do adventure, but we do luxury adventure weddings. No other wedding planner in Iceland can pull off an adventurous luxury elopement or American style large wedding in Iceland like we do… Check out one of our 100+ weddings HERE (and the video of it HERE). 5.) Does Iceland Wedding Planner offer planning only packages? –No we do not. Early in our career here, we realized that the majority of photographers out there are not prepared to shoot in Iceland’s challenging conditions. Short Story: Several years ago, when we did allow outside teams, we had a photography team not be prepared for the heavy rains we warned them about (and didn’t want to take our advise on how we prepare). The husband and wife team, didn’t know how to cope with the wind and the rain and water logged their gear. The couple barely got any wedding portraits at one of the locations. Sad! We have a standard to uphold and want to ensure our clients get the very best experience and coverage of their adventure wedding day in Iceland. Our Iceland wedding photography team is use to (and always prepared) to get amazing wedding photos regardless of the ever-changing weather conditions here. They also know Iceland / our private locations well. That said having a local photographer provides a better experience for you overall. Looking for an Iceland wedding video team? We are very choosy about who we work with in that department too. Check out our blog post on 10 Reasons Why You Need One. Note: We require any outside of our team folks to sign an NDA (non-disclosure agreement) and a Non-Compete. Why? Our locations are secret and many times on private property. Out of respect for the land owners and our business we require this, no exceptions. 6.) Does Iceland Wedding Planner plan weddings in tourist locations (IE, Seljalandsfoss, Skogafoss, Reynisfjara, etc)? –Short answer is no. But for the right couple who has a specific request or love of a location we will certainly make an exception. Our general rule of thumb is that if a tour bus can get there, we don’t venture there. 7.) Does Iceland Wedding Planner offer Rentals? –Yes! 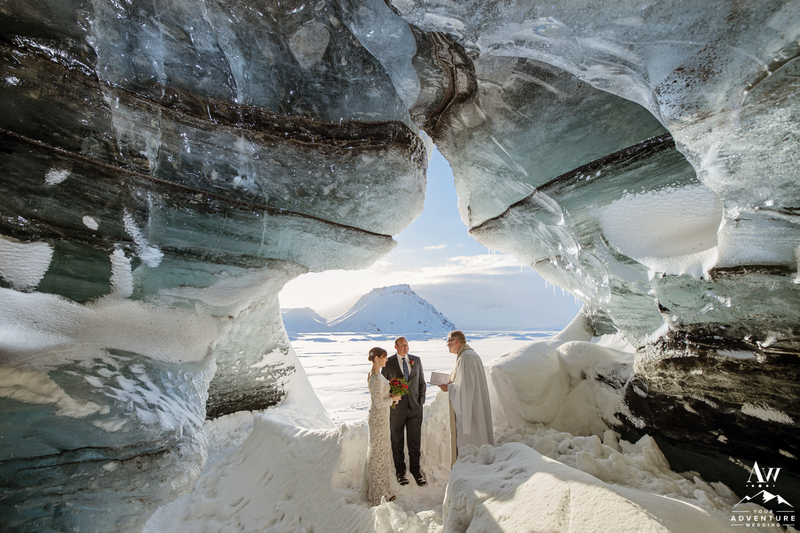 Please check out the different Iceland wedding rental topics HERE. 8.) Does Iceland Wedding Planner allow out of country photographers on our photography team? –Currently, we are extremely happy with our adventure wedding photography team. See above as to why we do not allow for outside folks. Also- If you are soliciting us to “promote” your services without ever working with us (or meeting us) the answer is a kind “no, thank you.” Please do not send us emails offering your services free of charge, we are not interested nor our type of clients (Kind Side Note: Your “bucket list weddings / shoots” are devaluing the entire professional photography industry). Furthermore, we are a tiny country in the North Atlantic (only 330,000 people live here), we hope you understand and respect that we need to support the people living here and their livelihood (cost of living here is more than NYC and we don’t have dollar menus). 9.) Does Iceland Wedding Planner offer Workshops? –Yes! This is a fantastic way for a photographer who wishes to shoot a wedding in Iceland meet us, learn what an “adventure wedding” entails, shoot a fabulous couple in our offbeat locations, and possibly become apart of our team! See HERE for more details. 10.) Does Iceland Wedding Planner execute weddings in the countryside churches? –We typically do not, but for the right couple we will consider. The style of weddings we craft are adventure style. So as long as you are interested in having the rest of the day exploring after the ceremony, we’re in! See one of our favorite clients Christophe and Mary’s wedding day that went from Church to Adventure Wedding, HERE. 11.) Does Iceland Wedding Planner craft experiences outside of wedding days? –Yes of course! We are thrilled to offer the following services: Adventurous Marriage Proposals, Couples Sessions, and Vow Renewals (planning and photography). 12.) Is Iceland Wedding Planner a Tour Operator / Travel Agent? –No. You will pay all of the vendors involved in your Iceland wedding directly, (unlike other wedding planning company’s who up-charge by 10-30%) we do not add any sneaky up-charging or get kickbacks from vendors. Frankly, we like to just pass the savings directly back to you! We also hand pick our teams, based on talent, not price. 13.) Does Iceland Wedding Planner offer privacy agreements for high profile clients? –Always! We respect and appreciate your privacy. For that reason, we do not feature every wedding we plan or photograph throughout the year, so if you wish your Iceland wedding adventure to remain private, we are happy to oblige. 14.) Does Iceland Wedding Planner “Collaborate” in Styled Sessions? –Currently our Iceland Wedding Planning team is not interested in participating in any sort of “collaboration shoots,” as we are already a frequently published team for our adventure style weddings (worldwide, see our Press page here and here). 15.) Can US citizens get married in Iceland? –Yes, absolutely! As part of our Iceland wedding planning service, we will assist you with the preparation of your Iceland Marriage License paperwork. We’ll also provide you with a list of required documentation and provide you with a timeline to follow. We make an appointment with the District Commissioner on your behalf as well. You can find more information about the current requirements for US citizens planning to marry in Iceland on the US Embassy in Iceland’s website. 16.) What do you wear to a wedding in Iceland? –A wedding in Iceland comes with its own list of considerations when choosing a wedding outfit . . . warmth factor, range of movement, ability to billow out spectacularly behind you as we shoot your epic, windswept wedding portraits . . .
Over the years we’ve worked with literally hundreds of couples, so we have a pretty good idea of what works and what doesn’t. When it comes to adventure weddings, it’s important to consider the activities you have planned when choosing your outfit. Are you hiking on your wedding day? Will you be walking on ice or snow? How will you keep warm? What about wet weather?? We’re always happy to share specific advice with our couples, once we’ve put your full wedding day itinerary together. You can also take a look at our blog post on how to choose an Iceland wedding dress. We even wrote another post just for our dapper Iceland grooms. And if you’re inviting guests along, they will probably have plenty of questions about the dress code. Our blog post on what to wear to an Iceland destination wedding is also a great starting point. 17.) Is Iceland Wedding Planner LGBT friendly? –Hell yes! Our entire team and hand picked vendors are all firm believers love is love. Are you keen to learn more? Do you have another question for us? Please head over to our Contact page and get in touch. We would love to hear from you!